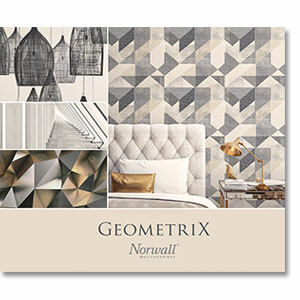 The featured designs in GeometriX create a strong visual impact. While some bold geometric designs jump off the walls to dominate and express themselves, others will blend in seamlessly into your home. Choose from modern and clean, beautiful gradations or textured designs. These on trend geometrics will give your home a creative spin that show style and dynamism. They showcase an extensive pallet presenting multi-coloured papers, neutrals, metallics and more. There is something here for everyone to simply swoon over.